We’re invested in honoring those who persist, those who fight, those who grind and overcome the odds. ACES is a lifestyle retail brand that impacts through style, purpose & sport. We’re set apart by Hustle & Heart. We’re invested in honoring those who persist, those who fight, and those who grind. We’re representing something bigger than ourselves. Aces is a lifestyle brand that is influenced by fashion & sports, while bringing awareness to causes that matter. Our events serve as a platform that unites and influences across the sports, music, fashion and entertainment industries; by organically bringing the community together, pushing the culture forward and highlighting social causes that matter. Brian has defined his life by dreaming big and overcoming the odds. The Cleveland native overcame the loss of his father to cancer at an early age through basketball, an escape and means of support that has always been there since. What began as a cathartic outlet quickly became a life-long passion and devotion, propelling Brian all around the world in search of a hoop and a great game. BK has played professionally in Kuwait, France, Israel and the Dominican Republic, paving the way into the NBA D-League draft and preseason camps with both the New York Knicks and Brooklyn Nets. Of late Brian’s game has found a home in NYC, earning certified street cred by wreaking havoc in city leagues, more than earning the nickname “Smokin’ Aces” at the famed EBC Rucker Park. That’s where he won a scoring title - in the summer of 2012 – joining a list that includes legends like Dr J, Joe “The Destroyer” Hammond, Kevin Durant and other greats. BK’s skills has also allowed him to rep storied brands, including AND1, whom he toured with across the US, giving back and inspiring the youth as much as possible along the way. 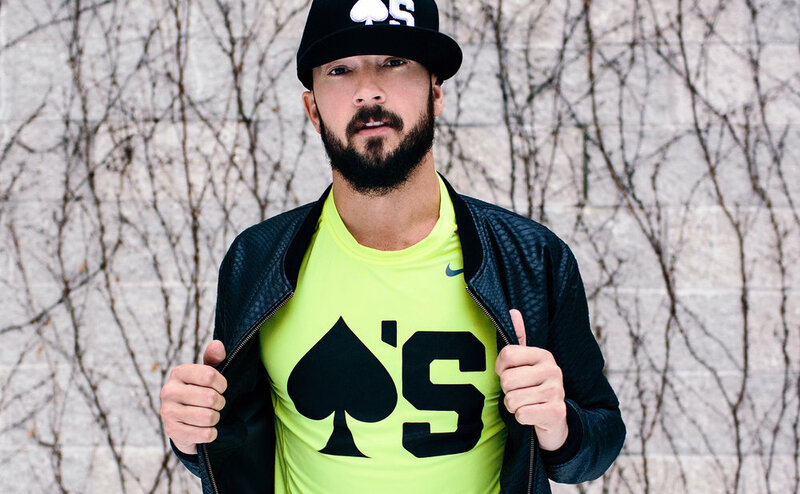 ACES is BK’s way to push the culture forward while making an impact both in fashion & sport.